We use and sell only the finest of products for your pet at A Paw Spa. 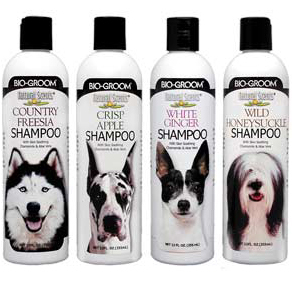 Bio-Groom provides our top of the line shampoos and conditioners, wellness products and a long line of other specialty products. The highly skilled chemists at Bio-Groom work closely with both the EPA and the FDA to meet strict requirements and standards. With 35 years in the pet industry, this family owned company produces their product line right here in the USA. Bio-Grooms reputation in the industry is a leader and innovator of superior pet care products. Dramatically repairs damaged coat. Protein enriched with silk amino acids to provide fantastic body and shine. 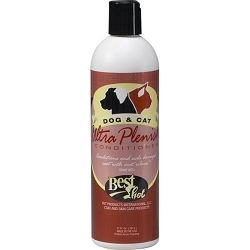 Highly recommended for double coats and shed-less treatments. Contains Coat Release to further free loose coat in the tub. When used in conjunction with UltraVitalizing Mist, it will dramatically reduce tangles, mats and static. We use this product and sell it in the store. The proper brush for your breed of dog or cat is essential to maintaining a matt free coat. We have a variety of brushes to choose from and our pet care specialists will assist you in choosing the brush that best suits your need. In addition, we love sharing brushing tips to help you with the task of keeping up with your pets coat between grooming sessions. This pet oral hygiene solution with ‘oxygiene’ is the most effective remedy for pet breath you’ll find. The microorganisms that cause bad breath can actually shorten your pets lifespan. Just a capful of Oxyfresh pet oral hygiene solution in your pets water bowl and your pet will have up close fresh breath, and lengthen their lifespan. Nontoxic and safe, this solution not only controls the bacteria that causes bad breath in pets, regular use can actually help your pet live a longer and healthier life by slowing the progression of periodontal disease. Ask about our promotional starter kit for $10 when you purchase a teeth brushing from our grooming staff!